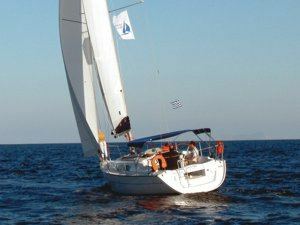 The Sun Odyssey 32i provides a main-cabin with galley to port and heads to starboard. Also a double berth in the forward cabin. 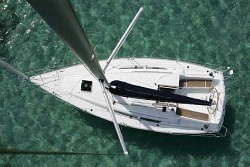 The forepeak cabin includes a hatch onto the foredeck and there are two spacious rear cabins in the stern. On deck the 32i has inmast furling & roller genoa. 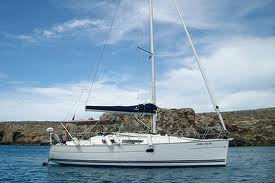 Instrumentation includes: Raymarine: wind, speed & log, echo sounder.